Adizone is an organic natural anti-inflammatory for pets. Adizone is a special combination of organic herbs demonstrated to REDUCE INFLAMMATION, support upper respiratory and bowel conditions, ease muscle, joint and nerve pain. Do NOT give regular Adizone to cats or birds. Use Adizone-C for cats. Adizone's primary purpose is for its' anti-inflammatory ability. 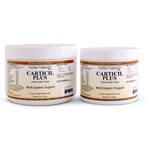 The herbs synergistically harmonize in keeping functionability in your pet. Adizone has many uses. 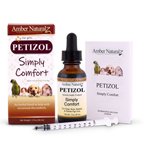 Below are several reasons Adizone is beneficial for your pet. Adizone has been known to help with treatment of excessive itching, irritable bowel syndrome, arthritis and joint pain, alleviation of asthma and other allergies. Adizone contains organic: Slippery elm, peppermint, spearmint, yarrow, jergon sacha, wild cherry bark, cats claw, hibiscus flowers, valerian root, rose hips, garlic, yucca root, alcohol, and filtered water. 25 drops or 1/4 tsp. Suggested use: Shake well before use. Give orally 3 times daily for up to 10 days. Do not exceed recommended dose. Warning: For use with pets 6 weeks or older. Do not use with pets under 6 weeks old. If younger than six weeks, you may dose the mom and the babies will get the benefits of the product via nursing. Keep out of reach of children. DO NOT give if pregnant or nursing. This product can thin the blood. Do not use with medications intended to suppress the immune system. Do NOT give regular Adizone to cats or birds. 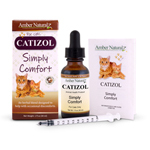 For cats, use Adizone-C. May lower blood pressure. Prolonged use not recommended. Watch for allergic symptoms such as hives, trouble swallowing and swelling around the eyes. If one is experiencing any adverse symptoms or notes any adverse signs, then cease using this product & immediately contact your nearest emergency medical system. The use of Adizone in the presence of endocrine pancreatic dysfunction (e.g. diabetes mellitus or acute infectious pancreatitis) and evidence of liver disease is a contraindication due to the presence of ethyl alcohol in this product. Alcohol may be removed by protocol (for every drop of Adizone, add 1 drop of hot water and let cool).